In our recent webinar, top fleet professionals from Yale University and the City of Boston shared their strategies for using electric hybrids to cut emissions in van and chassis fleets. The webinar is now available online. 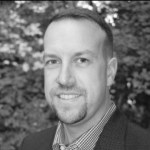 David Breault is XL Hybrid’s business development director, specializing in the Government and Educational Sectors.